100% of people featured on US banknotes are dead male politicians. We’ve analysed the world’s currencies to uncover global patterns. Our global study of faces on banknotes makes one thing clear: the patriarchy is alive and kicking in wallets and purses worldwide. Among major nations, only Sweden, Australia and Japan achieve gender equality. The UK’s Queen Elizabeth II holds the record for both the number of currencies she appears on (12) and the most appearances on individual banknotes (42). 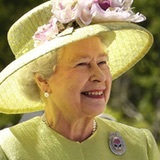 They all primarily circulate in countries where she’s the reigning monarch, including Australia, Belize, Canada and New Zealand. Queen Tamar of Georgia makes 2 appearances on paper currency: on both circulating versions of the 50 Georgian lari note. 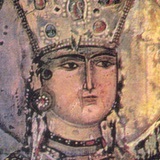 Also known as Tamar the Great, she became the first female ruler of Georgia in the 12th century and is a saint of the Georgian Orthodox Church. The Queen Mother of Cambodia, Norodom Monineath, appears twice on her country’s banknotes - on both sides of the 100,000 riel note she is depicted with her husband King Father Norodom Sihanouk. 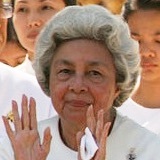 Her son Norodom Sihamoni, the current king, appears with them on the reverse. Government is clearly the way to go; even if you never lead the nation you can still make it onto money. Failing that, and lacking royal blood, writing or science might be worth a shot. “Bishop’s Wife”? Ragnheiður Jónsdóttir has appeared on the 5000 Krónur note in Iceland since 1986, as part of an effort to represent the cultural contribution of Icelandic women. 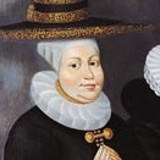 She was actually the wife of two different bishops, and was also a noted seamstress of altar cloths. 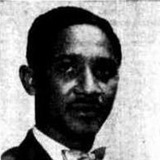 Sir Frank Worrell is the only sportsperson on any banknote in the world. Born in Barbados, he was the first black captain of the West Indies cricket team, and later became a Jamaican senator. He’s commemorated on the Barbadian $5 bill. No less than four different opera singers can be found on the banknotes of Australia, the Czech Republic, Norway and Sweden. 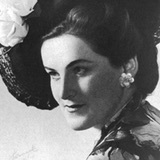 Sweden’s Birgit Nilsson (1918-2005) had the most recent fame of the four, being the leading Wagnerian soprano in the ’60s and ’70s. Although many major countries such as China, India, Sweden and Mexico only put native-born people on notes, numerous smaller places happily feature foreigners, so your options are wide open. 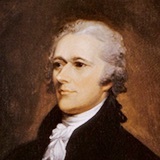 Even the US dollar features someone foreign-born: founding father (and now star of his own musical) Alexander Hamilton appears on the $10 bill and was born on the Caribbean island of Nevis. He ensured his place on US currency by establishing the First Bank of the United States. Sorry, it’s bad news. Getting your face onto hard cash is unlikely to be anything other than a posthumous honour, especially if you’re not a monarch. For now, perhaps aim for an Oscar, Nobel Prize or Olympic medal instead? 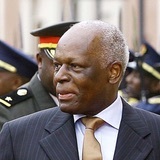 The president of Angola since 1979, José Eduardo dos Santos appears on all 9 circulating notes of the Angolan kwanza, alongside his deceased predecessor, Agostinho Neto, the first president of Angola after the country achieved independence. 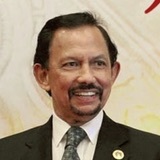 Hassanal Bolkiah, the Sultan of Brunei, appears on 7 of the 8 notes of the Brunei dollar - the 500 dollar note instead bears the image of his late father. He is the wealthiest monarch in the world - his net worth has been measured at as much as $20 billion US dollars. King Tupou VI of Tonga is depicted on all 6 notes of the Tongan paʻanga. The reverse sides of the notes display landmarks and other Tongan-related imagery. 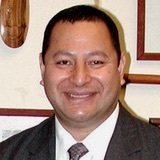 Tupou succeeded his elder brother, who died in 2012 with no children to inherit his throne. Figures were calculated based on the counts of appearances of real people (or their representations as statues etc.) on bank notes in regular circulation in each state/territory. A person appearing twice on a currency was counted twice. 238 states and territories with autonomy over their currency were analysed. Biographical information was gathered via Wikipedia. Information is accurate as of March 2017.